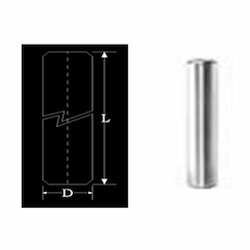 We offer a wide range of Pillar Pin that are widely used by several industries. These types of Pillar Pin come in various shapes and sizes that can be customized as per clients’ specifications. Highly durable in nature and efficient, our range is also used for molding the material in shape usually in press items. Pillar Pins are made from Alloy Steel and carefully heat-treated to RC 62+1. These are precision ground to h4 tolerance and recommended N5 fit for bore. Ball bushes are made with precision steel balls. They are arranged in close helical form for easy rotary and axial movement. Our organization is well known in the industry for catering a distinguished segment of Rack Slotted Pillar Pin. These products are made from high quality components. 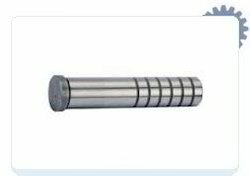 We offer a wide range of Pillar Pins that are widely used by several industries. These types of pins come in various shapes and sizes that can be customized as per clients specifications. Highly durable in nature and efficient, our range is also used for molding the material in shape usually in press items. Pillar Pins extensively find fastening applications of different components together in various industries. This range of pins is superlatively manufactured by using optimum quality steel, copper and brass materials. These pins are available in various sizes, shapes, designs and specifications to cater the variegated needs of patrons.